For normal weight, the BMI value must be between 18 – 25. People with BMI over 25 are considered obese. Morbid obesity is when the BMI crosses 35. The typical problems faced by people who are morbidly obese include inability to walk or even reach their own body parts, difficulty in breathing, high blood pressure, sleep apnea, diabetes. They are also in the risk of developing other conditions such as heart diseases, gall stones, cancer and so on. Being morbidly obese can bring upon many psychological effects also, as there is social stigma associated with being overweight. Society and public places are often not accommodative of severely overweight people and naturally, such people isolate themselves from participating in social activities. 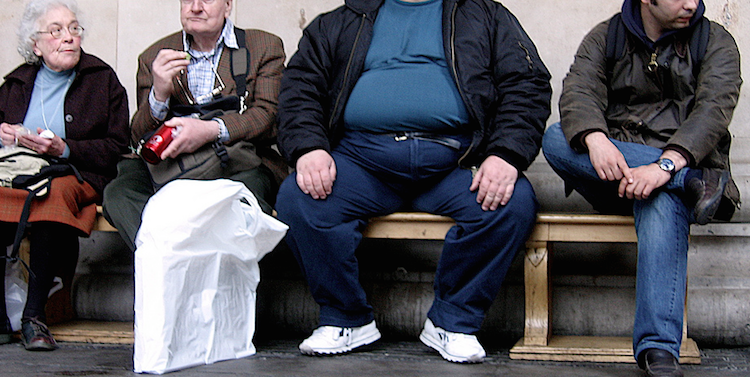 Morbid obesity is a chronic condition and cannot be cured through diet or exercise. Such people become candidates for a surgical treatment of weight loss known as Bariatric Surgery. Bariatric surgery or weight-loss surgery is an emerging solution to help people lose excess weight and regain their health. It is becoming popular across the globe and has the potential to help populations from getting affected by the ill effects of obesity. Weight-loss surgery is known by other terms such as Bariatric surgery or metabolic surgery. There are different types of weight-loss surgeries and commonly, these procedures limit the amount of food that can be eaten. Some of the procedures can also affect the way the food is absorbed or digested. These surgeries change the anatomy of the gastrointestinal system and affect the production of hormones in the intestine, thereby reducing hunger and increasing ‘satiety’ or the feeling of fullness. This reduces the frequency of meals and the quantity eaten. The body burns down the excess fat as source of energy, gradually leading to significant weight loss. It is has to be kept in mind that weight-loss surgery is only a tool. Choosing weight-loss surgery as a method to regain health requires tremendous mental strength as post-operative lifestyle entails a reduced capacity to eat. The patient feels full eating just 30% of his original meal size. Regular exercise is required to aid weight loss. Provides long-term solution for weight management. Severely obese people are able to remarkably reduce their excess body weight. Improves longevity by reducing the health risks associated with obesity. Observation studies conducted among people who underwent Bariatric surgery show that such people have a reduced risk of mortality when compared to obese people. Improves or even resolves medical conditions associated with obesity including Type-2 Diabetes, high blood pressure, asthma, sleep apnea, arthritis. Improves quality of life. Weight-loss induces a positive feeling and improves factors such as self esteem and social interactions. These surgeries shrink the size of the stomach and reduce the capacity of the stomach to hold food. With a smaller stomach the patient is able to intake lesser food, which eventually leads to loss in weight. In these surgeries, apart from reducing the size of the stomach, the surgeon bypasses a part of the digestive tract. This reduces the absorption of calories from the stomach. This method falls under the category of restrictive surgery. In this surgery, an adjustable band is tied around the stomach sectioning it into two potions – a smaller upper portion and a larger lower portion. A narrow passage separates the two portions. A slower emptying of the contents of the upper portion is achieved. The patient feels full with smaller meal portion. It is a simple surgery that is safe. The band can be adjusted by tightening or loosening depending on the need. The recovery is quick and the band can also be removed making this a reversible procedure. Compared to other procedures, weight loss through this method is less dramatic. Patient can also regain the lost weight over the years. There could be complications with the band as it may slip out of position. Repetitive surgeries may be required to bring the band back in place. Overeating after this surgery can lead to vomiting or esophageal dilation. Surgery related risk includes infections which can be avoided. This is another method of restrictive surgery. In this method, about 70% of the stomach is removed surgically. The greater curvature of the food pouch is removed and the rest of it is stitched up, leaving only a narrow column for holding food. Again, reduced size of stomach leads to quicker satiety, leaving the patient feeling full with smaller meal sizes. It is a simple surgery and does not affect the way the food is absorbed. Therefore there is no risk of deficiency of nutrients. This procedure is not reversible. The patient is able to lose more than 60% of excess weight in a span of 12-18 months following sleeve gastrectomy. Diet and regular exercise are required to aid weight loss. Leakage of the sleeve is a risk which is usually studied right after the operation through x-rays and corrected immediately. Surgical infections and blood clots need to be avoided. This is a type of malabsorbtive and restrictive surgery. This surgery is also known as Roux-en-Y Gastric Bypass surgery. In this surgery, the surgeon bypasses a part of the stomach and the short intestine, providing a short cut for the food. The stomach is sectioned into two portions. The upper portion is sealed off from the lower portion. The upper portion is then connected to the lower portion of the small intestine. As a part of the small intestine is bypassed, the body absorbs fewer calories. This is an irreversible procedure. The main disadvantage with this surgery is that bypassing reduces absorption of important nutrients leading to deficiency of iron and calcium. The patient needs to be careful about diet and also take supplements to make good for the lack of nutrients. Patient experiences rapid weight loss. About 50% of the excess weight is lost within just 6 months. This is a complicated surgery and riskier compared to other procedures. Hernias are common after this surgery. Owing to rapid loss in weight, patients may also develop gall stones. This is a drastic version of the gastric bypass surgery. Here a greater portion of the stomach, about 70%, is removed and a greater portion of the small intestine is bypassed. This procedure is not done commonly. The risk of the body not receiving enough nutrients is serious in this type of surgery. This procedure results in faster and greater loss in weight compared to gastric bypass. Although a huge portion of the stomach is removed, the portion that is left is still larger than the stomach sizes resulting from gastric bypass or gastric banding. This way, the patient is able to eat slightly larger meals. This is the most complicated surgery among all types of weight-loss surgeries. This surgery poses a high risk of hernia which makes it necessary to undergo further surgeries. 1) The type of weight-loss surgery depends on the patient’s weight, body type, medical record and fitness. 2) People considering weight-loss surgery must look for a surgeon who has immense experience specializing in weight-loss surgeries. 3) Weight-loss surgeries are done through minimally-invasive procedures known as laparoscopy. In this small holes are made in the abdominal region. A long tube fitted with a camera, known as a laparoscope, is inserted to get a view of the abdominal region. High resolution images are sent to a screen which is seen by the surgeon performing the surgery. Additional holes are made to insert tubular instruments to perform the surgery. Laparoscopic surgeries reduce the risks of infection and lead to faster recoveries. 4) Weight-loss surgery involves a holistic programme including diet and exercise. Patients are guided by a team that includes the doctor, dietitians and counselors. Surgery alone cannot help the patient shed weight. A combination of healthy, moderate diet along with regular exercise is required to aid weight loss. After weight-loss surgeries additional procedures such as liposuction may be required for body contouring as loss of weight can lead to sagging skin.